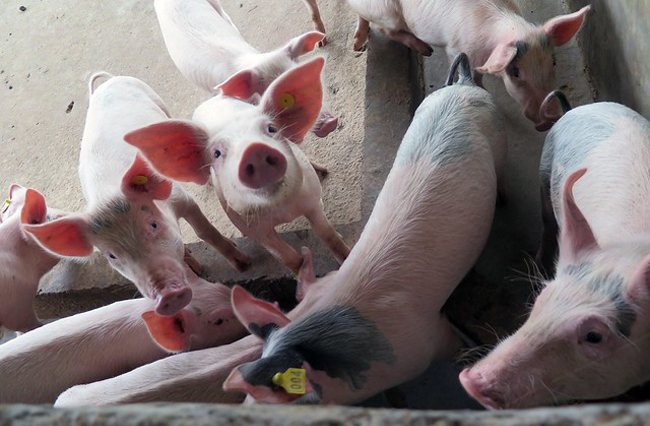 (TibetanReview.net, Apr09’19) – China on Apr 7 confirmed the first outbreak of African swine fever in the Tibet Autonomous Region, with the location being the heavily Chinese immigrant populated City of Nyingtri (Chinese: Nyingchi or Linzhi). A total of 55 pigs were confirmed dead on farms in the city’s Bayi (or Dragyiv) District, Gongbo’gyamda County and Bome County, reported China’s official Xinhua news agency Apr 8, citing the country’s Ministry of Agriculture and Rural Affairs. The ministry has been cited as saying transport of all pigs and related products out of or into the blockade zone was forbidden. The highly contagious disease is believed to infect only pigs and there have been no reports of human or other species infections thus far. China reported its first case of the disease in the northeast province of Liaoning in Aug 2018 and it spread to several other provincial regions. This is the fourth outbreak of the fever in April in the People’s Republic of China, with the other three cases having occurred at Lichuan city of Hubei province, Urumqi in the Xinjiang Uygur autonomous region and Shangri-La (formerly Zhongdian, Tibetan: Gyalthang) in Yunnan province. China, home to the world’s largest hog herd, has reported well over 100 outbreaks of the highly contagious disease across the country since last August, although remote, high-altitude Tibet had previously remained untouched, noted Reuters Apr 8. Only the southern island province of Hainan and the special administrative regions of Hong Kong and Macau have yet to report an outbreak of the virus.